Implementation of Goods and Service Tax will be carried out next year 2015. What are those goods affected ? Hearing the debate of Goods and Services Tax and reading those articles about GST on the internet do not help at all. No one seem to shed some light to those uneducated. It not just those uneducated, those who were not into financial sector or attending financial school in college not even raise a "light bulb" . Usually those who are from banking sector or investment sector know it all !!. All I understand is that there were some goods were excluded from GST. What are those goods ?? They simply labeled it in general something like sugar, beverage, school. That really clear from them right. Cant they just list out like "GPT Gula Pasir Kasar 1KG" is excluded for the GST. I guess it must be a lot of work to be done by listing all of the goods that will be excluded from GST. I mean that will be way lot of efforts because too much. Giving them the biggest A4 paper is was still not enough. They said the list will be announced later when GST is almost being implemented. I guess we need to wait till last minute ! 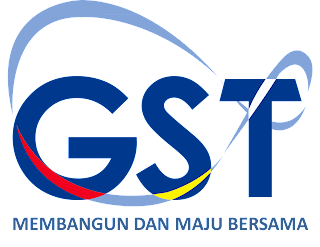 This article is meant to test whether or not the goods listed below will increase it price after the implementation of GST in 2015. All of these goods were bought from the year 2014. Will Implementation of GST in 2015 affected Sugar price ? 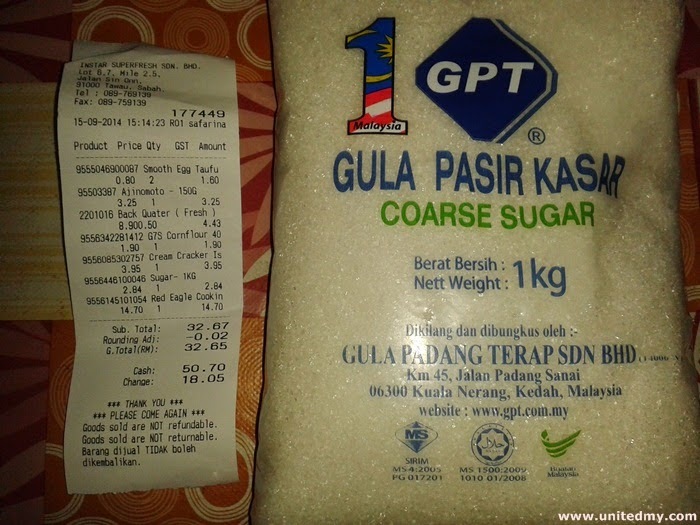 Current sugar price is at RM 2.84 for 1KG. 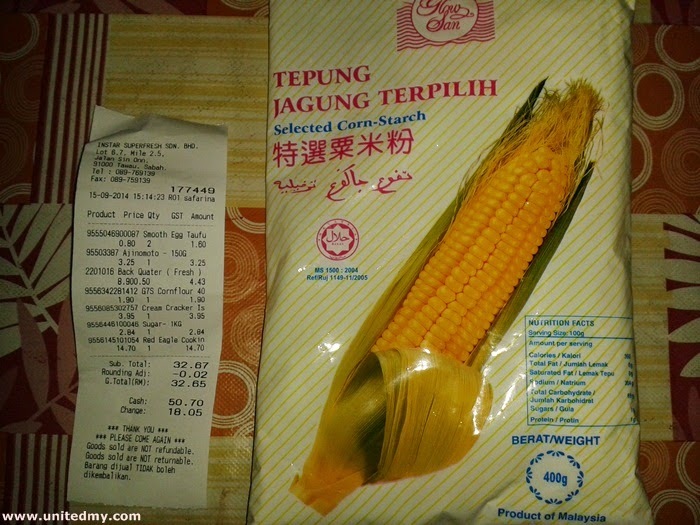 Are we expecting RM 3.00 per KG or RM 2.60 per KG ?? 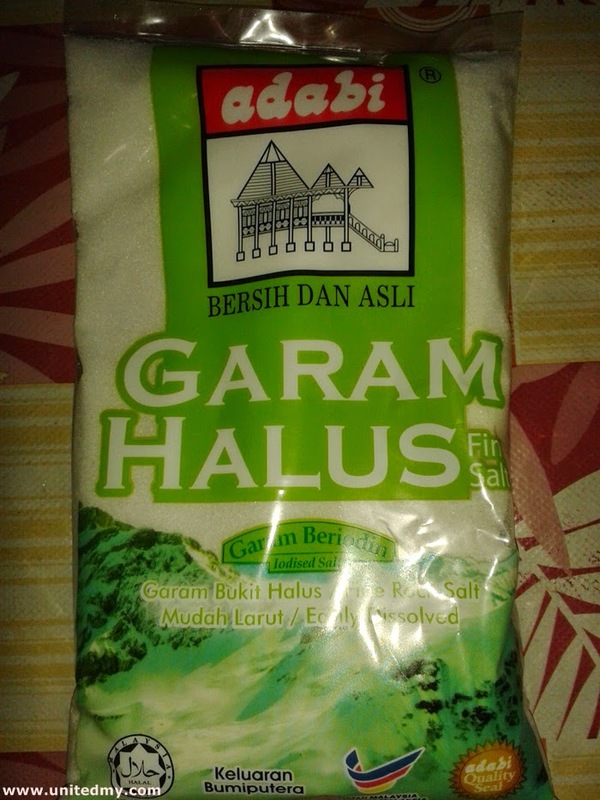 RM 1.20 for 400G Adabi salt. Will there be increasing of price in Adabi salt later GST or inflation ? 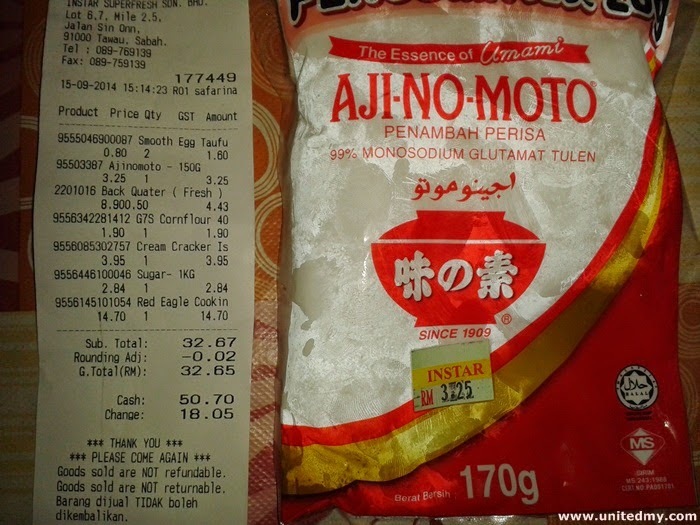 Cooking oil is likely to be affected by GST in 2015. 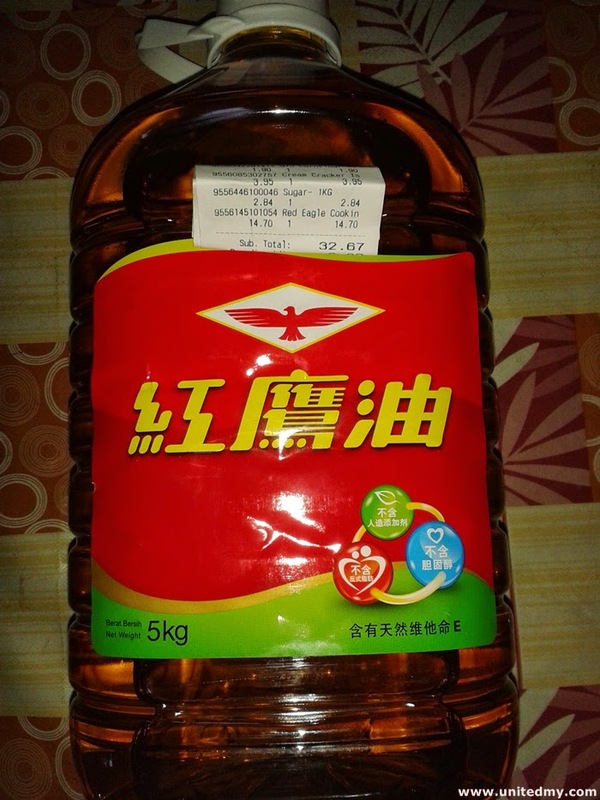 Personally forecasting inflation and GST will bring the price up to RM15.50 for 5KG Red Eagle Cooking oil. There will be like 20 items listed at here. I hope you guys reading this will give me some suggestion and feedback. I will provide 10 goods/items I think the value will increase, whereas you guys could contribute the other 10 items/goods. It is time to be accountable in this matter. Share to your closest ones, spread this message.